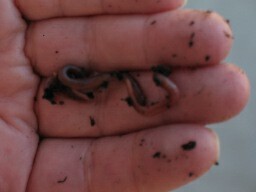 Advertising may be the most expensive part of many small businesses, including a worm farm. But without the correct advertisement, your business will have difficulty. There are numerous types of advertising to consider, but the best will always be happy repeat customers who will refer others to you. Radio advertising, newspaper or magazine advertisements are all pretty expensive. Simply because of the cost you may not be able to advertise on a regular basis. Start-up costs can be demanding in any business. You should have signage that is large enough to read, brightly colored and carefully located so that it will be spotted by people driving by. A sign that is professionally done will attract the interest of more people. Think about it from the consumer point of view. Surely a large, colorful sign would draw more attention than a small black and white sign. The advertisement for your worm farm should be inviting to visitors. Another means of advertising your worm farm is by creating flyers or bulletins. Many people will make up a large stack of them and place them on each and every car they see until they run out. But you want to get the most out of every cent you invest in your advertising. 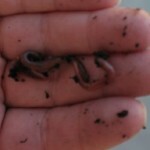 Think about areas where people may be interested in worm farming. A person outside of a hardware or sports store may be more likely to want worms for fishing or to use the worm compost for fertilizer than a busy mom taking her kids to soccer practice. . Always get permission from owners or managers of stores before posting anything or leaving flyers on car windshields. Flower or garden shops may allow you to post a flyer on a bulletin board-use your imagination and be creative! You could consider holding a demonstration about the benefits of your worm farm at the local library. Many libraries hold special sessions for the kids during the summer. These children have parents and grandparents who garden and fish and own reptiles or birds who might need worms. Be sure to hand out color pages or bookmarks or something similar with a small bit of information for your business, including your phone number. You can purchase a magnetic sign that can be placed on your car or truck which would advertise your worm farm. There are thrift newspapers that have lower cost advertising. There may be local flea markets or farmer’s markets where you can set up a booth. Make sure you check out your tax laws and your business license requirements for your area. 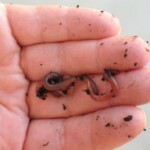 Even if you have your worm farm at your house, you may be required to get a permit to sell your worms or the things you are able to produce because of your worms (like the tea, compost, fertilizers, etc.). With some creative thinking you will be able to come up with many ideas that will make advertising your worm farm fun and yield profitable results. 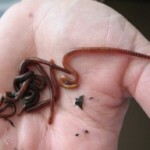 So you’ve decided to take the plunge and set up your own worm farm. Perhaps you’re looking for a natural way for composting waste or are interested in the nutrient rich fertilizing substance produced by the worms. Or you may be looking to provide a constant supply of live bait or live food for exotic pets. Regardless of the reason, you’re going to need to set up a worm bin. 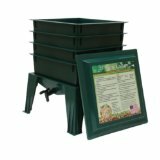 Various worm farm kits are available for purchase at worm farming supply companies and garden centers. These come in different shapes, sizes and colors and each have their own benefits. The frugal approach is to build your own. The first thing to consider is how big of a container you’re going to need. For each pound of waste you will be feeding the worms, you’ll need one square foot of space in your bin. Depth should be at least six to twelve inches. A plastic tote or wooden container works well. 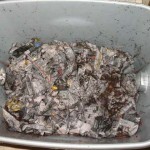 Metal containers should not be used as irons and chemicals can leach into the soil, harming the worms. Once a container of the appropriate size has been chosen, it’ll need to be prepared. Holes should be drilled or punched through the top of the container to allow for air flow. There are two ways to address the bottom of the container. One method is to drill or punch holes into the bottom of the container to allow excess water and other liquids to drain out. Another is to install a spout at the bottom of the container. When liquid begins to fill up in the bottom, the spout is turned on and releases the fluid. If using a spout, a raised shelf should be added within the container. This shelf should be the same width as the container, but be allowed to sit a few inches above the bottom. This will allow the empty space at the bottom to fill with liquid and prevent it from sitting in the soil and bedding. This raised shelf should be made of slats or have several holes to allow liquids to drain into the bottom of the container. If a raised shelf is not used, screening should be installed over the holes to allow liquid to run out of the container but prevent worms from squeezing through. Screening should also be attached to the top of the container to prevent escape. Some thought should be put into what will be used for bedding material. 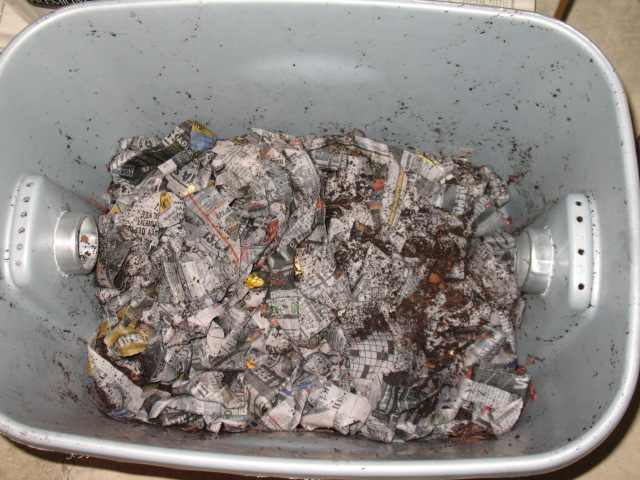 Soaked and shredded newspapers, cardboard and even dampened leaves can be layered in the bin. Regardless of the material used for bedding, a small amount of soil should always be mixed in. If using the raised shelf system, bedding should be layered on top of the shelf. The container should be put in a location that will ensure optimal conditions. Temperatures should remain between 72 and 75 degrees Fahrenheit. The bin should not be placed in direct sunlight. Worms can be added to your own worm farm once the bin has been constructed, bedding has been added, and the perfect location has been found. 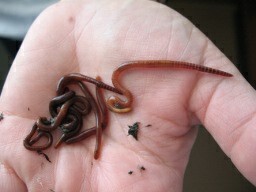 Worm farming is rewarding whether it is done for a profit or a hobby. 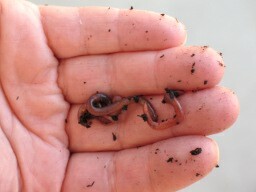 Constructing an appropriate home for these guys is your first step towards becoming an authentic worm farmer.